They are part of the perfect formula to a lazy long lunch. So, when Dan started to get antsy after I'd dragged him round one to many shops at Westfield, we plonked ourselves down at Byron. I'm ashamed to admit that we're pretty much creatures of habit when it comes to this place. We know what we like and although I may vary a few toppings every now and then, the Cheeseburger with smoked cheddar has my heart. For those that don't know (of which there probably aren't many) the burgers at Byron are all cooked medium, colourful on the outside with a pretty pink centre, which is, in my opinion just how meat should be to get the full flavour. Complemented with a nice thick bun filled with sauce, crispy lettuce and tomato, cheese of your choice, what isn't to love? It's juicy and tasty. 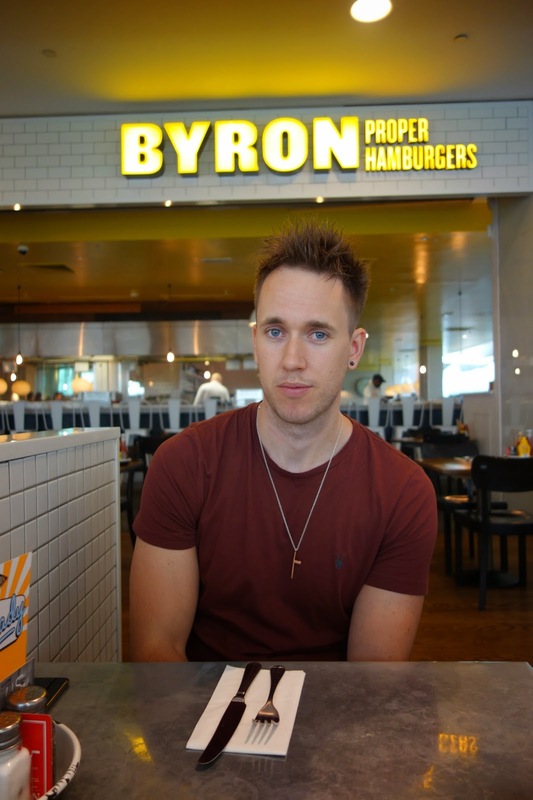 What Byron burger is your fave?